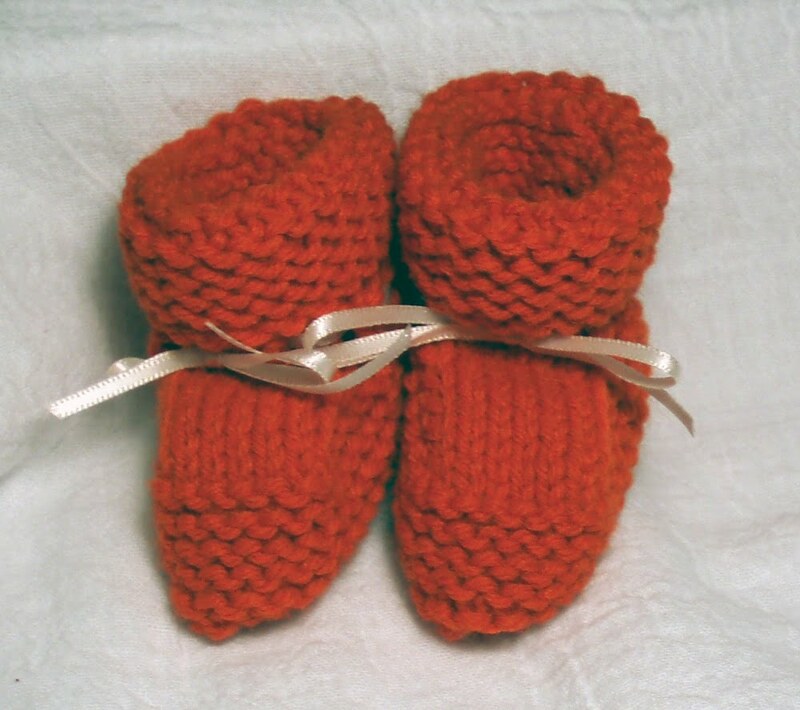 These booties are actually orange, even though they look kind of red. I LOVE orange, it seems like such a great color for a boy or girl! These are knitted from this pattern, available for free from fabulousyarns. I have used this pattern many times in the past. (Are we noticing a pattern? I'm remaking all my old stand-by baby shower gifts!) They are tied with ribbon because I was being too lazy to make i-cord! Not to worry, we'll see this pattern again! Great blog! Thanks for following and entering the giveaway! I'm following you now! Excited to read more.